The process of budgeting has been used in the various organization as a critical tool to aid in developing management and that is typically in the planning and control purposes. The present and future expenses of an organization have always been based on the budget prepared since it guides a variety of companies on how to allocate their resources appropriately. Often the actual expenses are compared with those in the budgets and this is usually done to control the different expenditures of a particular organization. The report, therefore, aims at explaining the application of budgeting in management accounting and this included functions such as control and planning. 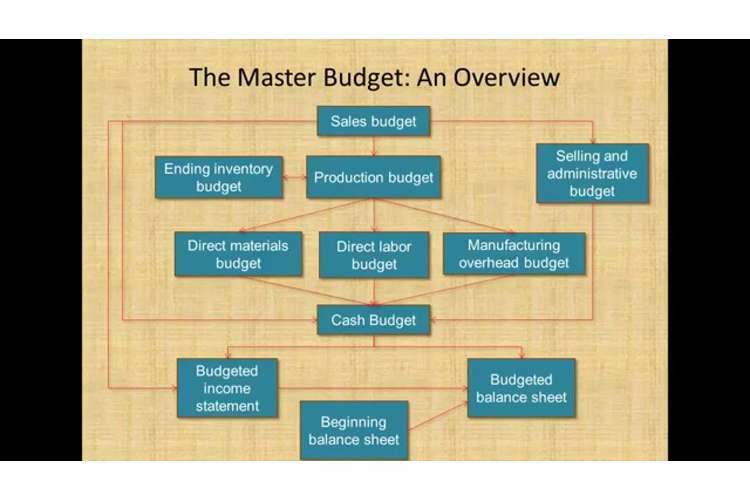 It also focuses on different cases in the organization o how budgeting is being used to help in management accounting. The two research studies aim at providing an understanding of various aspects of budgeting such the types of budgeting, the various functions of budgeting in an organization such as planning and controlling and the different effects of the budgeting in firms and this is typically related to performance. What are the various categories of budgeting? What are the functions and roles of budgeting in particular organizations? What are the functions of budgeting in management accounting? What effects does budgeting have on the organization? What are the behavioral implications of budgeting in an organization? Budgeting is typically a process in which a budget is prepared with the aim of planning for the future operating activities. Such activities could either be short term or long term activities (Bogsnes, 2016 p.100). The preparation of budgets is a critical aspect of every particular organization and this is because it aids in a planning and control of various activities resulting in a more controlled performance aimed at attaining the set objectives. According to Travers and Catallo, (2015 p.45), this processes involves the collection of information by an organization which will be used in the preparation of the budget. There are usually two techniques used during this process and this includes, the top down and bottom up. The top down relates to the provision of information by the top level management to be sued for the compilation of the budgets. However, for the bottom up, the subordinates provide various information on the different activities which will aid in the preparation of the budgets. In this step, the fundamental items to be measured while preparing the budgets are selected. Such a decision is based on the organizational structure of the specific firm which intends to prepare the budget (Wildavsky, 2017 p.30). There are usually a variety of items which can be estimated during the compilation of budgets and such may include the costs and revenue. Each of the elements may be categorized based on the manufacturing and distribution units. Under the step, the past information on the performance of the particular organization is obtained to help in allocating various costs to certain activities of a firm. Some of the areas where the historical data can be gathered from include, the financial statements such as the statement of financial position, income statements, and cash flow statements among others. The other key place where an organization can obtain the historical information could be on the past sales activities and this could be based on the product lines and the specific customers of the organization (Kelly and Rivenbark, 2014 p.540). Further, the expenses incurred in the past on specific items could be a source of historical information and thus an organization could rely on it for historical information which could be useful for preparation of budgets. Van der Stede (2015 p.5), argues that the projections on the performance of the particular organization are compiled for the future. It is usually a complex procedure during the preparation of the zero based budgeting. The incremental budgeting, however, on the other hand, is based on the past performance and hence when preparing its projections, it is simple and easy. It is the last step when preparing the budgets and it is considered as one of the most complex procedures since it involves a variety of complicated elements which must be comprehended by the individuals involved in the preparation of the budget. Some of the items include the contribution margin (Miller, 2018 p.100). Additionally, there are specific requirements which must be adhered to while estimating the break-even point such as the break even by units and break even by sales. Budgeting is a fundamental tool which has often been used in various organizations for communication of the objectives to the employees. Some of the objectives could be operational and financial (Wilson, Zarnowiecki, Cho, Parletta and Bogomolova, 2016 p.47). In reference to communication, the top level management can use budgeting to communicate the different priorities of the organization to the subordinate staff members to guide them towards the achievement of the set goals. According to Gonçalves (2014 p.100), a fundamental function of budgeting has been in the planning and control of different activities of particular organziations. Planning and control are basic roles of management in the management accounting and hence budgeting plays a key role in management accounting. Budgeting has been sued a performance evaluation tool by the managers aimed at assessing the different efforts which have been put in place by a variety of workers. A manager, therefore, can identify certain areas which have failed and hence there is the need to improve on them. The hybrid budgeting is prepared based on the past performance of a particular organization. It is the most preferred type of budgeting by a variety of organization and this has been attributed by its consideration of different elements such as the industry trends and macroeconomic forces. The key activities of an organization are typically set at zero when preparing this type of budgeting (Schick, 2014 p.65). However, it does not take into account the preparation of future budgeting. Zero based budgeting has been considered to be time-consuming and expensive compared with the other types of budgeting and these are some of the essential limitations of this type of budgeting. During the preparation of this type of budgeting, the different programs are usually identified. After the identification of the programs, the vital objectives are set and a specific budget is compiled for the specific programs put in place in the organization (Anessi-Pessina, Barbera, Sicilia and Steccolini, 2016 p.500). This type of budgeting mainly focuses on the outputs instead of the inputs. The non-profit oriented organization's management is the ones which often use the program budgeting sine they have many programs set for accomplishment. According to Sintomer, Röcke, and Herzberg (2016 p.36), the incremental budgeting is simple and easy to prepare. During the preparation of this type of budgeting, the information on the expenses incurred by an organization in the past financial year is obtained and this usually involves the information on the decreases and increases of different estimates (Thurmaier and Willoughby, 2014 p.200). One vital limitation of this type of budgeting is that is always inaccurate and this is due to the associated repeated mistakes which are often made by particular organizations for a certain duration.AN organization which uses this type of budgeting may, therefore, end up making huge losses in the process. There are a variety of functions which budgeting is used for in different organizations. Budgeting plays a key role during the allocation of resources in a firm. It, therefore, ensures that various resources are properly managed to avoid wastage. It has been used as a motivating factor for the different workers of an organization such that the employees are directed towards the attainment of various objectives as indicated in the budgets. Another essential function of budgeting is on the control of the profits and different operations of an organization (Shah, 2018 p.50). The spending of money on different activities is usually based on the budgets which have been estimated by the particular company and thus no expenses will be incurred which is above the ones already estimated. The budgets also play a critical role in communication such that it is used as a tool for communication with different workers of an organization. The information conveyed in the budgets usually helps in the ensuring that the workers work towards the objectives of the particular organization. It, therefore, facilitates the coordination of internal communication within an organization and this is critical for purposes of enhancing the performance of the individual employees (Cabannes, 2015 p.270). Budgeting is also used as an evaluation tool for the assessment of the performance of various workers in an organization. Often the estimated budget is compared with the actual budget to determine the level of performance of the organization. Apart from the above-mentioned roles of budgeting in an organization, another vital function of budgeting is that it is used a planning tool such that the plans set by an organization are indicated in the budgets to act a guidance on attainment of goals. However, the plans are often displayed in the financial terms. The prepared budgets typically have a greater impact on every particular individual in an organization and this is based in the fact that people will be compelled to work extra with the aim of attaining the set targets (Ganuza and Francés, 2015 p.180). The workers including the top level management often react to the budgets differently and this, in turn, has an implication on the performance of that particular organization. For example, a positive reaction towards the particular budget will often lead to better performance and this is unlike when the reactions of the employees are negative which may result in low performances of that particular firm. Further, budgeting typically results in the imposition of huge pressure on the workers with the intent of achieving the set goals. The excessive pressure could be in form of tight objectives set for every particular department in the organization. The budgeting process may also lead to a budgetary slack which entails the overestimation and underestimation of costs and revenues and then seeking for more funds to finance the prepared budgets (Sorenson and Goldsmith, 2017 p.180). The Journal of Applied Management Accounting Research and Accounting, Accounting, Auditing and Accountability Journal were selected for the report. There are a variety of similarities and differences between the two journals which have been discussed in the report as indicated below. The journal illustrates a case study on budgeting and it mainly focuses on the influence on the managerial performance through the budgetary participation of the top level management. The company it focuses on is the Macau Chinese Bank. During the preparation of the budgets, the performance of the management is usually compared against the participation in the preparation of the budgets by the management (Nimtrakoon and Tayles, 2015 p.280). According to the individuals concerned with the preparation of the budgets, there is typically no much effect of the budgetary participation on performance. Further, the participation of the management in the budgetary preparation results in a variation of managerial performance in the particular company. In certain circumstances, the participation of the management in the preparation of the budgets usually has a positive impact in the organization performances. The budgeting also has a great impact on the motivation level of the employees and this is a key implication which has been witnessed in the company by the management. There is usually a lot of pressure mounted on the workers with the aim of directing their efforts towards the common goals in the budgets. There are various uncertainties in the environment which often hinders the management from participating in the process of budgeting (Nitzl, 2016 p.30). For example, in situations in which the management thinks that they are not likely to attain the set objectives, they will fail to participate in the preparation of the budgets. The organization identifies the relationship which exist between the budgetary participation and performance of the management using certain factors called the moderating factors. A key moderating factor is the information asymmetry. The information asymmetry entails a situation in which the junior employees have a lot of information regarding the company and are hence encouraged to provide such information during the making of budgets. The junior employees have certain critical information and therefore understands different standards in the organization and their participation in the preparation of budgets has improved the performance of the organization (Oulasvirta, 2014 p.280). However the information asymmetry has widely contributed to the creation of a slack relationship in the organization. Such a relationship can be defined as a situation in which the junior staff are prevented from budgetary participation by the senior managers typically due to their large numbers in the preparation of the budgets. The journal focuses on the various practices of budgeting in Homes Company. The budget cycle of the company is based on its accounting practices with the aim of attaining accountability and transparency in the organizations.The budgeting is used as a tool for achieving structural and organizational accountability. Additionally, the company encourages the managers of the company to participate in the process of budgeting and this is because it enables the organization to enhance its professional accountability. Just like noted in the previous journal, the company also encourages the junior staff members to participate in the preparation of budgets and also in the allocation of resources (Carnegie and Napier, 2017 p.1650). However the budgeting system is often controlled by certain powerful individuals constituting of three managers and other three members whose power is shared equally. The sole purpose of budgeting is to achieve accountability and governance in the organization so as to enhance the performance of the company. Apart from the budgeting being used as a mechanism for attaining governance and accountability, it is also used as a control and planning tool to aid the management run the affairs of the organization (Demirag, 2017 p.90). Based on the budgetary process of the organization, it is clear that the budgeting practice can be influenced by certain powerful groups and individuals such as the managers particularly with the intent to control the powerful resources of an organization. Based on the journals, it can be concluded that budgeting can be used to improve the performance of an organization during a particular financial crisis. The other learning outcome is that the preparation, if budgets are often affected by the dynamics of the environment and the managers, must, therefore, take into account such as dynamics in the environment. The size of an organization also matters during the preparation if budgets such that large organizations tend to prepare budgets which are complex and this is unlike in the small organization which just prepare simple budgets. Lastly, budgeting can be used for the purposes of planning and control which is an essential aspect of management accounting since it is usually the center of interest for particular managers in various organizations. The above-mentioned learning outcomes are of significance to Australia since it will enable the different organizations to prepare budgets by taking into account the specific learning outcomes. In summary, budgeting is considered as a fundamental aspect of every particular organization since its preparation determines the success or failure of the particular organizations. There are certain key functions of budgeting in the firms and this includes, controlling and planning of different activities and this will help the management put efforts at achieving the objectives set in an organization. The preparation of budgeting is often inhibited by certain factors in the environment and this relates to the dynamics of the environment. Such factors tend to restrain the chances of achieving the objectives of the particular firm. The managers often tend to fail to participate in the budgeting process due to uncertainty to achieve the set targets and this usually results in low performance in the organization. 1. Anessi-Pessina, E., Barbera, C., Sicilia, M. and Steccolini, I., 2016. Public sector budgeting: a European review of accounting and public management journals. Accounting, Auditing & Accountability Journal, 29(3), pp.491-519. 2. Bogsnes, B., 2016. Implementing beyond budgeting: Unlocking the performance potential. John Wiley & Sons. 3. Cabannes, Y., 2015. The impact of participatory budgeting on basic services: municipal practices and evidence from the field. Environment and Urbanization, 27(1), pp.257-284. 4. Carnegie, G.D. and Napier, C.J., 2017. The Accounting, Auditing & Accountability Journal Community in its 30th year.Accounting, Auditing & Accountability Journal, 30(8), pp.1642-1676. 5. Demirag, I., 2017. A framework for examining accountability and value for money in the UK’s private finance initiative. InCorporate Social Responsibility, Accountability and Governance (pp. 77-92). Routledge. 6. Ganuza, E. and Francés, F., 2015. The Participatory Challenge: Deliberation and Democratic Inclusion in Participatory Budgeting. Participations, (1), pp.167-190. 7. Gonçalves, S., 2014. The effects of participatory budgeting on municipal expenditures and infant mortality in Brazil. World Development, 53, pp.94-110. 8. Kelly, J.M. and Rivenbark, W.C., 2014. Performance budgeting for state and local government. Routledge. 9. Miller, G., 2018. Performance based budgeting. Routledge. 10. Nimtrakoon, S. and Tayles, M., 2015. Explaining management accounting practices and strategy in Thailand: A selection approach using cluster analysis. Journal of Accounting in Emerging Economies, 5(3), pp.269-298. 11. Nitzl, C., 2016. The use of partial least squares structural equation modelling (PLS-SEM) in management accounting research: Directions for future theory development. Journal of Accounting Literature, 37, pp.19-35. 12. Otley, D., 2015. in Management Control. Critical Perspectives in Management Control, p.27. 13. Oulasvirta, L., 2014. The reluctance of a developed country to choose International Public Sector Accounting Standards of the IFAC. A critical case study. Critical Perspectives on Accounting, 25(3), pp.272-285. 14. Schick, A., 2014. The metamorphoses of performance budgeting. OECD Journal on Budgeting, 13(2), pp.49-79. 15. Shah, A., 2018. Unit-5 A Primer On Performance Budgeting. IGNOU. 16. Sintomer, Y., Röcke, A. and Herzberg, C., 2016. Participatory budgeting in Europe: Democracy and public governance. Routledge. 17. Sorenson, R.D. and Goldsmith, L.M., 2017. The principal's guide to school budgeting. Corwin Press. 18. Thurmaier, K.M. and Willoughby, K.G., 2014. Policy and politics in state budgeting. Routledge. 19. Travers, J. and Catallo, C., 2015. Following the Dollars to the Classroom Door: Why and How Effective Student-Based Budgeting Must Be Linked with Strategic School Design. Education and Care Resource Strategies. 20. Van der Stede, W.A., 2015. Budgeting and management control. Wiley Encyclopedia of Management, pp.1-7. 21. Wildavsky, A., 2017. Budgeting and governing. Routledge.